Successfully Added Dual Wireless Charging Pad - Qi Charging, Fast Wireless Charging Support, 75 Percent Conversion Rate, Over Voltage Protection to your Shopping Cart. 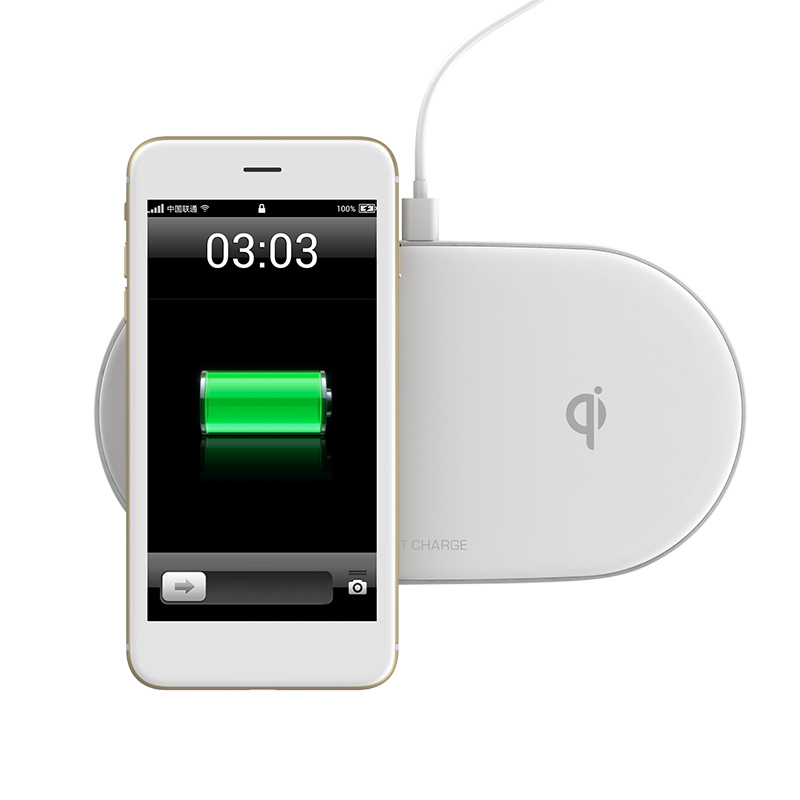 Qi Wireless charging supports Apple iPhone, Samsung Galaxy, and other major Qi-enabled phones. Dual Charging pads let you charge two phones simultaneously. This dual wireless charging pad lets you charge to Qi-enabled phones such as the iPhone X, 8 and 8 Plus as well as Samsung Note and Edge models among many others. With a USB type C input this dual pad wireless charger can receive a 9V/3A input that combined with a conversion rate of 75% lets you charge devices more efficiently using fast wireless charging. LED indicator lights on each charging pad show the status of each device charging so you have a clear visual indicator once the battery in your phone is topped up. This dual pad Qi wireless charging pad comes with 12 months warranty, brought to you by the leader in electronic devices as well as wholesale smartphone accessories and cool gadgets..